Fact: M/s B.M. Industries (“the Applicant” or “BMI”) the firm is a going concern engaged in manufacture and sale of aluminium profiles, owing fixed assets, current assets and also has long term as well as current liabilities. The applicant proposes to merge as a going concern with M/s Bimal Aluminium Pvt. Ltd., that consequent to merger the proprietorship firm BMI, shall cease to exist and it’s all present and future assets, liabilities, rights, claims, businesses, etc., shall be taken over by M/s Bimal Aluminium Pvt. Ltd. All future liabilities of GST, as and when arise, shall be met by M/s Bimal Aluminium Pvt. Ltd., in normal course of business. 1. Whether the applicant is liable to pay tax under CGST/SGST Act, on merger of his proprietorship firm as a going concern with a private limited company on the fixed assets and currents assets including stocks of raw material, semi-finished and finished, goods. 2. Whether the input tax credit available in the credit ledger account or cash ledger account of proprietorship firm shall be transferred to the respective credit ledger and cash ledger account of the private limited company, consequent upon merger. Applicant’s Interpretation of law: The applicant contended that as per Rule 41 of CGST/HGST Rules and Section 29 of the CGST/HGST Act, tax is not payable in case of merger of proprietorship firm with company. Consequent upon merger unutilized input tax credit of the Applicant firm will be available to M/s Bimal Aluminium Pvt. Ltd., Yamuna Nagar. The applicant further submitted that Section 18(3) of the CGST Act, 2017 read with Rule 41of the CGST Rules, 2017 allows the transfer of the input tax credit shown in the account of the applicant as balance of the Electronic Cash Ledger and the Electronic Credit Ledger to the respective ledgers of M/s Bimal Aluminium Pvt. Limited subject to observance of conditions prescribed in Rule 41 of CGST Rules, 2017. 1. 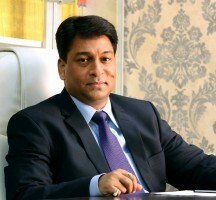 The applicant, on merger of his proprietorship firm as a going concern with a private limited company, is not liable to pay tax under CGST/SGST Act 2017 because with reference to Section 7 of the CGST Act 2017 which defines “the scope of supply”as per sub section 1, the supply includes sale, transfer, barter, exchange made for a consideration in the course of or for furtherance of business. The transfer of the applicant’s business as a going concern to a private limited company is not in the ordinary course of business or for the furtherance of business. The selling of business is not the business of the applicant. It, in fact, cannot be called a transaction in the normal course of business or for furtherance of business. It is an extraordinary activity which shall bring the business to an end in the hands of the applicant although it will continue to operate with regularity and permanently in the hands of the buyer i.e. M/s Bimal Aluminium Pvt Ltd. Therefore, the activity cannot be termed as supply as per Section 7 & hence exempt from the payment of tax. Further, as per Rule 41 of the CGST/HGST Rules, 2017, which states that a registered person shall, in the event of sale, merger, de-merger, amalgamation, lease or transfer or change in the ownership of business for any reason, furnish the details of sale, merger, de-merger, amalgamation, lease or transfer of business, in FORM GST ITC-02, electronically on the common portal along with a request for transfer of unutilized input tax credit lying in his electronic credit ledger to the transferee. Thus, it is evidently clear that there are provisions in the law, where in case of merger, a registered person, by filing Form GST ITC-02, electronically on common portal, can transfer un-utilized input tax credit lying in his electronic credit ledger to the transferee. 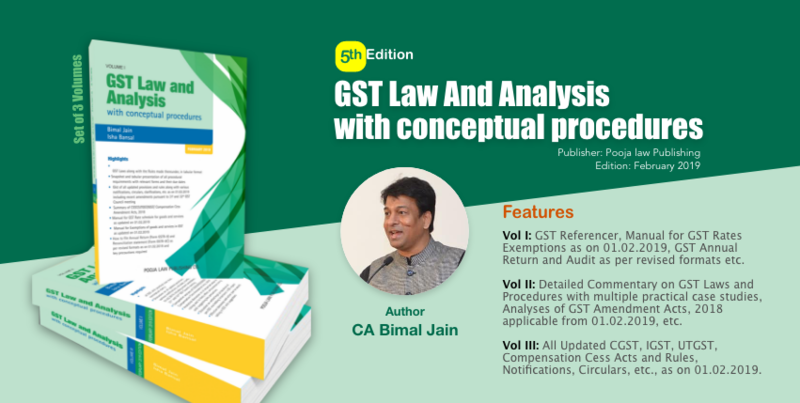 Therefore, the input tax credit available in the credit ledger account the firm shall transferred to the respective credit ledger account of the private limited company, consequent upon merger, subject to the provision of section 18(3) of the CGST Act, 2017 read with rule 41 of the CGST Rules, 2017.